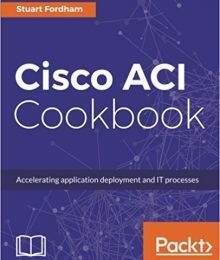 Freeradius and Cisco ASAs – Proper separation of roles! In this post we will look at solving a problem using FreeRADIUS. I wrote some time ago about separating read-only access from admin access to Cisco ASAs using Microsoft NPS. It worked in theory, but a problem was found that an AD user who was not a member of either OU could still authenticate to the ASA using ASDM at level 15. Clearly, this was less than ideal. Check out the link though as it shows how to set up the ASA to use Radius and we’ll need that in a while. I bounced around some more ideas, tested things out using Microsoft NPS, and even tried TACACS using Tac-plus. Still no dice. I went back to the idea of using Radius, mainly because of the fact that I didn’t want to have to run two systems to do the same thing, NPS got us most of the way there, TACACS would probably have finished the job, but requires a lot more investment in time, knowledge and money. Coupled with the fact that the IPS modules in our ASAs only support RADIUS I knew it was time to head back to the RADIUS idea and try and put this to bed. Microsoft NPS doesn’t cut the mustard, though. Yes, it’s a good product, but clearly not the right product for this scenario. Freeradius, on the other hand, offered something new, and I stumbled across the idea of using it from this very excellent post here. Our set up is slightly different, though, as we are using Microsoft AD as the LDAP backend, and require the use of AD groups as well as nesting of access control. To explain, we have two users; npstest is a read-only account. It should have access to the ASA through SSH and through ASDM, but only at a maximum of level 3. It is a member of the AD group “sec-fw-readonly”. 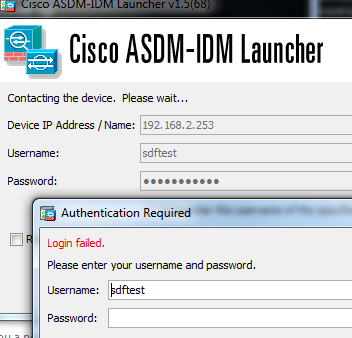 My own account should have full access on both SSH and ASDM and is a member of “sec-fw-administrator”. 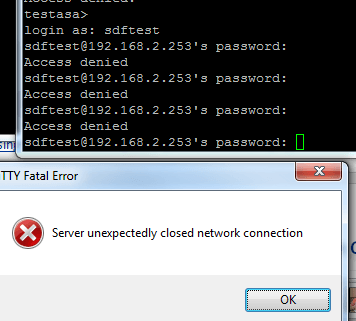 The first line specifies the domain controller to connect to, and the next line specifies the account to use, the third line is the password for that account. The basedn is where freeradius should start searching for user accounts, and the filter does some funky mapping of AD attributes to freeradius attributes. The groupmembership_attribute will be needed for the reading of AD groups which we will need later on. If you don’t uncomment those then you will get an “operations error” message when trying to search. Now we can edit the “default” file in the same folder, and make the exact same changes as the inner-tunnel file above. With the secret being the shared secret you are going to use on your ASA. 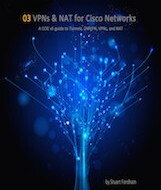 Just uncomment the $INCLUDE dictionary.cisco.vpn3000, and save the file. Here we are specifying that a member of sec-fw-administrator should be an administrative user, with privilege level 15. The network-admin line is ready for when we switch our Nexus to use freeradius (as previously we set our Nexus to use Microsoft NPS as well). If our user is not a member of sec-fw-administrator then we need to see if they are a member of sec-fw-readonly, if they are then they should get into the ASA but only at a maximum of level 3. Finally, if they are not a member of either the connection attempt should be rejected. Finally, we have a working solution! 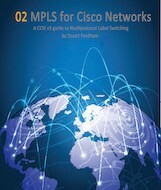 CCIE 49337. 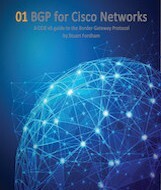 #CiscoChampion 2017, Author of CCNA and Beyond, BGP for Cisco Networks, MPLS for Cisco Networks, The Cisco ACI Cookbook and VPNs and NAT for Cisco Networks.